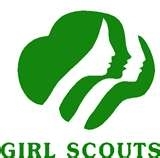 Girl Scout membership recruitment has been successful in southwest Kansas, and due to an increase in girl registrations, Girl Scouts of Kansas Heartland is currently looking for volunteers to serve in Liberal, KS. GSKH is currently looking for volunteers to work with three Daisy troops (Kindergarten and first grade), one Brownie troop (second and third grade), and one Junior troop (fourth and fifth grade). You do not have to be a parent of a girl to be a Girl Scout volunteer. GSKH has many volunteer opportunities and timeframes available in addition to working with a troop. Everyone can find a way to connect that fits his or her personal schedule. Time commitments vary from one day, to one year. It ? ?s up to you!
? ?There are so many ways to impact the girls in your community, ? says Kelly Combs, membership services manager. ? ?We just need to know your interests and availability, and we will find a place for you. ? Girl Scouts of Kansas Heartland provides training to equip adults with the skills they need. All it takes is a commitment to help make a difference in the lives of today ? ?s girls. Volunteers are also able to network with other adults, build business skills, and acquire new skills. To become a Girl Scout Volunteer or for more information regarding Girl Scouting in your area, please contact the Girl Scouts of Kansas Heartland office at (888) 900-7061 and ask for Kelly or Tina or visit www.kansasgirlscouts.org.